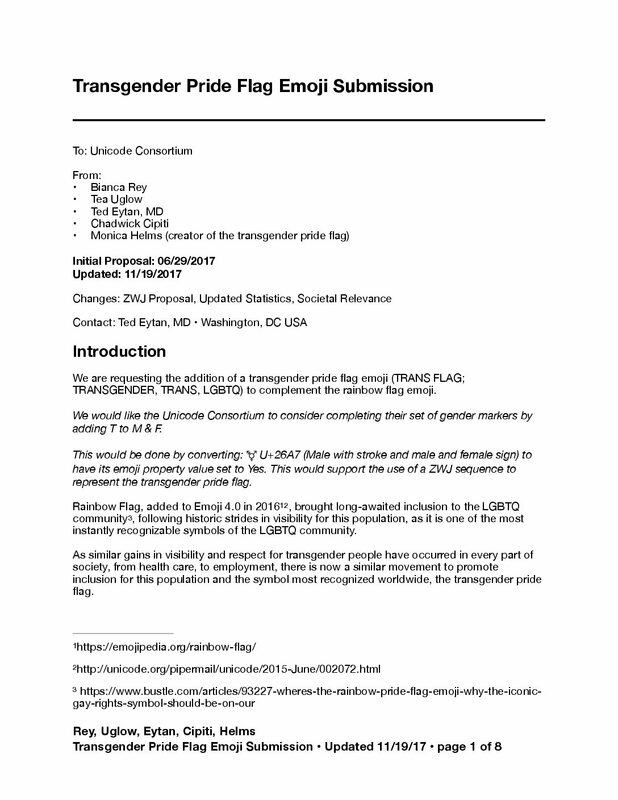 Transgender Pride Flag Emoji Proposal – Part 1, up toJuly, 2019. The proposal is now officially in the Unicode document register and can be found on this page, with direct link here. Re-submitted to Unicode after receiving expert help/support! Pride Month happened, with an unprecedented level of (#TransVisibility) around the world, making the absence of this symbol even more apparent: June 2018 update: Why isn’t there a Transgender Pride Flag Emoji? What Does Google Trends Tell Us About A Proposal for a Future Valid Emoji Sequence for Transgender Visibility? 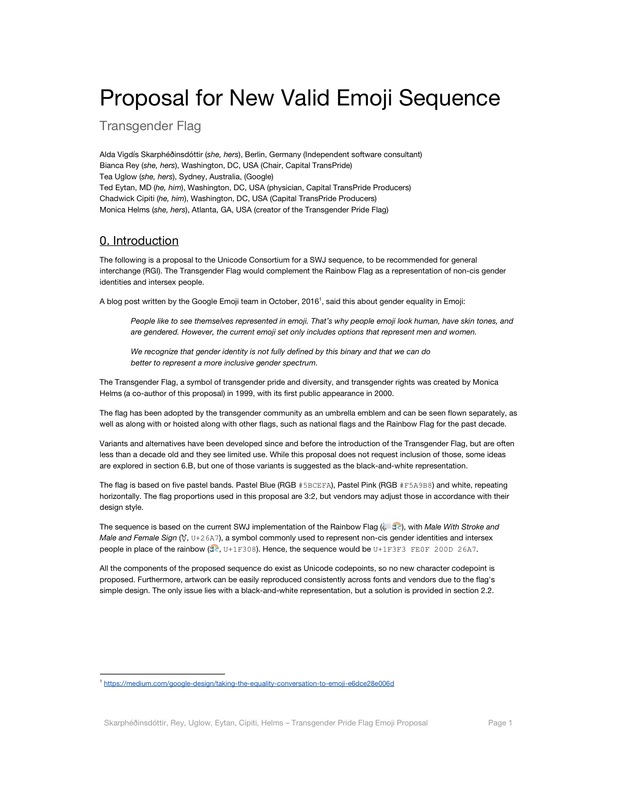 This proposal was reviewed by the emoji subcommittee. 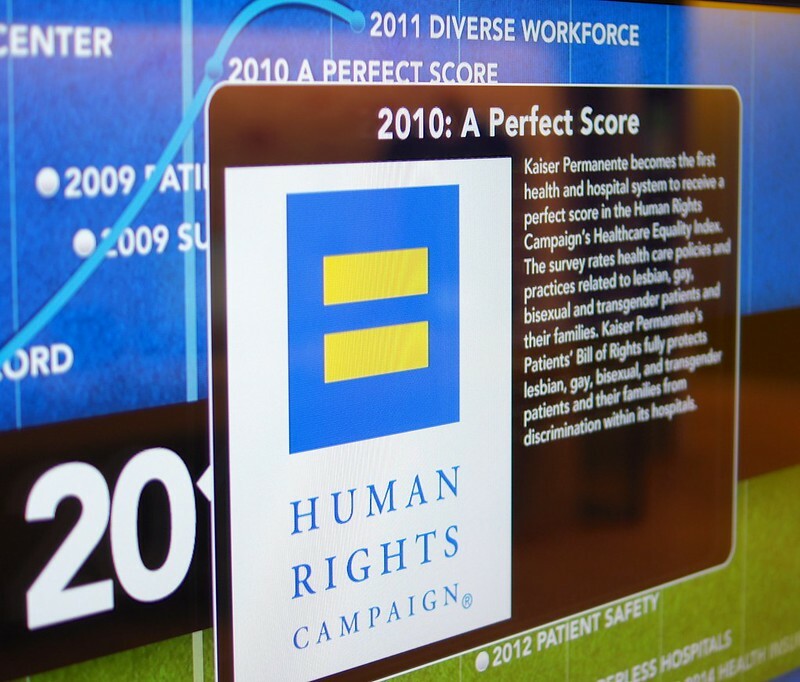 Members would like to see better data. As far as data goes, it would be helpful to include comparisons to the sum of the values terms such as for ‘gay’, ‘lesbian’, ‘bisexual’. Comparisons of usage of flags for transgender vs other causes or identity groups would be helpful. We are open to any other feedback/suggestions, feel free to add a comment or contact me. To respect the direction from @Unicode not to propose emoji’s based on “causes” we’ve moved @BiancaRey’s quote from the proposal to this blog post. The Trans Pride Flag to me represents my identity as a trans person, that I belong to a community and that I’m visible – and I don’t think usage metrics can measure that feeling. I think about a Trans person from a small town who feels like they are alone or they don’t have a community – with the emoji being available, it will be something that the individual can say “This is me!” or “Yay! Trans Pride Flag emoji”. It will bring happiness, a sense of community or support the identity to that individual. 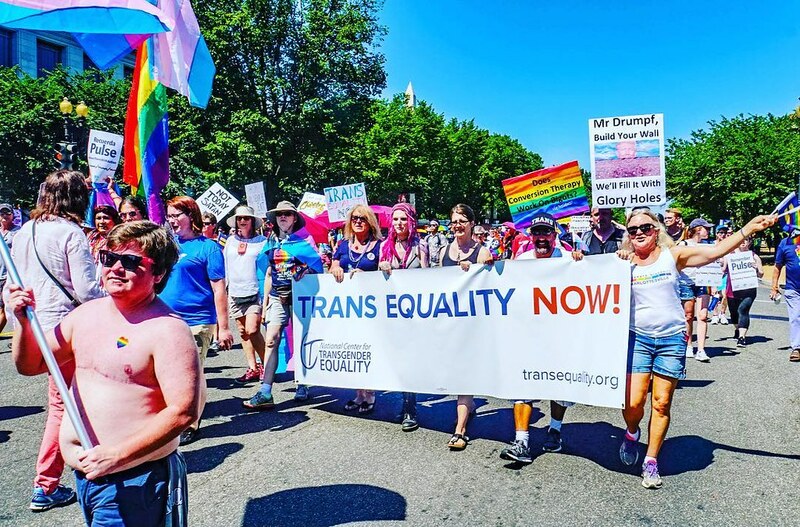 Finally, pointing out news of the Transgender Day of Remembrance event in South Dakota, United States this week, demonstrating the importance of TransVisibility in our society today. Would you like to join with us or sign on to this proposal? Please post in the comments or contact me. I get that none of this is intentional and that it’s probably an unintended consequence, but it’s also not how a living language works. …because while our proposal has some legitimate technical dependencies, there are other social considerations that come into focus, especially if the other emoji’s that are being proposed are the “heart with knife”, “sad poop” and pirate flag. All of this said, as it is said, “don’t react, innovate” – important to understand how @Unicode and associated vendors work together and participate, even if we have to learn ZWJ sequences. I believe Unicode is meeting this week. And I never imagined that as a family doctor I would be participating in the formation of a language. On the other hand, these things matter for health, and so therefore it’s exactly the right place for a family doctor to be. Not approved at this time, appears to be grouped in with other flag proposals for consideration in October. @PinkNews is reporting that the proposal has not been accepted by @Unicode. However, we have not received any communication from the Unicode consortium about this. See the dialogue about this on twitter. Thank you again for your proposal. This is just a status-update. The emoji subcommittee needs a larger discussion about how to handle different types of flags. Your proposal is being held with some others pending outcome of that discussion. Thank you for your submission. This is to let you know it has been safely received, and will be reviewed by the emoji subcommittee. As the title of the post says, this is the official submission to Unicode for the Transgender Pride Flag Emoji. 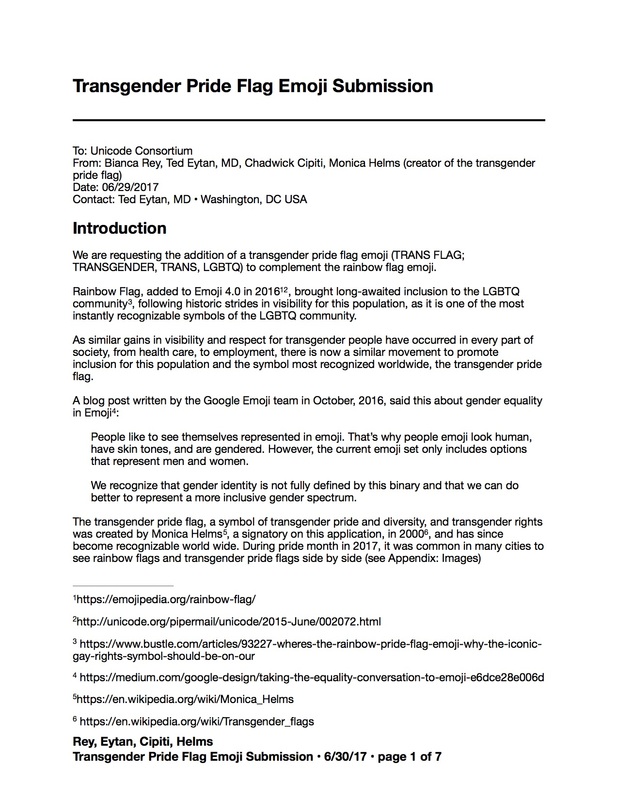 Monica Helms, the creator of the Transgender Pride Flag, is a signatory on the submission 🙂 . The transgender pride flag signifies visibility in a world that’s learning to love better. 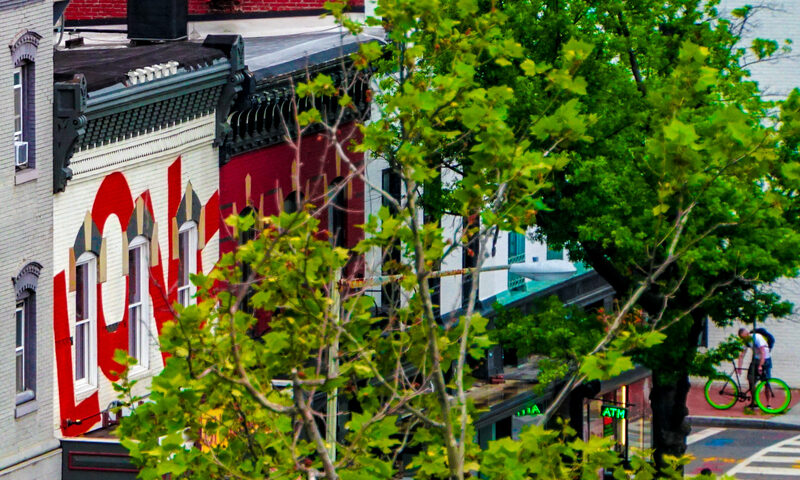 A sticker may seem like a small innovation but it means a lot to a community that’s been marginalized. This year at Capital Trans Pride, we lamented that the only emojis we could send to each other are the rainbow pride flag. If you don’t like the news, go make your own. Hopefully the news will be good. Feel free to review the submission and provide us with your comments.